A successful professional blog must contains a few essential characteristics.If we want to say that marketing words as influence via word of mouth.Today i want to discuss several characteristics that increase the likehood of success in professional blogger career.Here is the topic about Characteristics Of Perfect Professional Blog To Become Successful In Virtual World of Information Technology. The points of a professional blog are identified here as Characteristics Of Perfect Professional Blog To Become Successful In Virtual World of Information Technology. Motivational characters are belongs to four points such as blog involvement,article involvement,custom nature involvement and ownership involvement. Innovation is one of the main characteristic of a professional blog.This character is influenced by some factors those are such relative advantage,compatibility,complexity, divisibility and communicability. 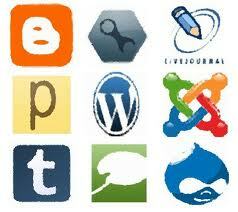 Opinion leadership is the important fact of professional blog.It has seen that why visitors come to blog? The reply can give easily as that blog has the leadership opinion.This characteristic depends on awareness,interest, evaluation,trail,and adaptation. Any way visitors can come to blog but they have to listen or read the blog's saying which is the listening mania.Two major factors are effective in listening mania those are speaker's experience and knowledge and the blogger who is recommended the article or simply can say personality of the Author. Information influence is desired for any professional blog and it is the most straightforward strategy of implication of internet world.It depends on appropriate credible source as endorsers.It also depends such age,education,income,geo location and many more. Normative culture mainly depends on blog's stability and informative activities of the blogger(s).Some times it needs to promote self branded style to become more informative for customize region or culture or law suit. Informational influence and normative influence are the main points to bag huge gathering in any blog or website.It is know to all bloggers and webmasters that stability of a website or blog depends on visitors or traffic and traffics come only for information.Perfect blog has all the characteristics and eventually become successful in virtual world of the internet.